Unusual and tempting, the surprising pairing of tobacco and butterscotch in this Phix pod refills pack is a great combo which works really well as a vape flavor. Sweet butterscotch pairs with the rich tobacco notes and the 5% nicotine level (50mg nicotine) balances perfectly against the flavors. 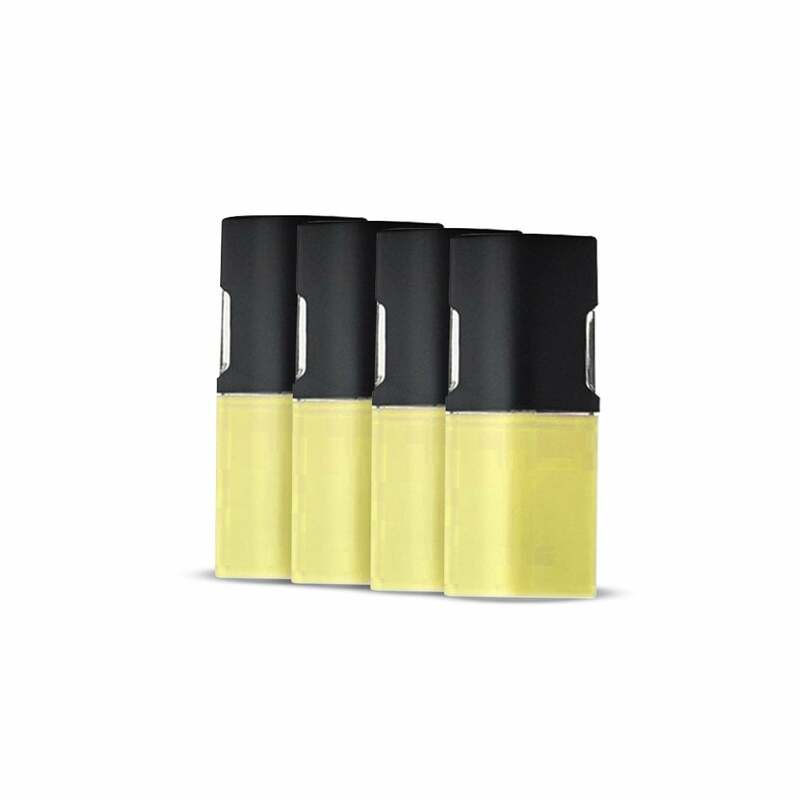 Each of the pod refills provided up to 440 puffs, dependent on your usage. This was my favorite flavor, but in the last few boxes I bought, every single pod has tasted burnt after a short amount of time- before the liquid even dropped below the level of the mouthpiece. I’ve finally given up on them. It’s a matter of taste, but I love PHIX’s butterscotch! i like the flavor though sometimes there will be a defective pod in the pouch. Our favorite flavor! This product always arrives safely, well packaged. It's very tasty and smooth, never harsh! These pods in the new packaging are terrible. They work to start and then just stop working or engaging with battery. Air bubbles appear in pod and you can’t use them. At least one or two in every package doesn’t work at all. Awesome flavor. Just ordered more. And my daughter who only likes Juul’s Creme Brûlée flavor loves them, too! Ordered 3 boxes of the butterscotch pods, (the ones in the white box) they are horrible with the old battery. I won't ever order them again. Need the ones in the black box. The new pods are terrible for the old battery. They are not compatible and customers should be informed of the pod type before the purchase. Ordered multiple pods here several times . Absolutely all of them leaked inside the package upon opening and kept occasionally leaking while attached to the battery and when smoking . Contacted the web site support and got no resolution whatsoever. These have a great hit and the flavor is awesome! These add the treat of Butterscotch to the smooth flavor of a good cigarette, but the healthier choice of vaping! Love the Phix vape and pods! Great taste with the butterscotch! So easy to use, last really long and very decent price!